The economic liberalization in India , initiated in 1991, with principles of Liberalization , Privatization and Globalization (LPG) of the country’s economic policies, with the goal of making the economy more market and service-oriented and expanding the role of private and foreign investment. Specific changes include a reduction in import tariffs, deregulation of markets, reduction of taxes, and greater foreign investment. Liberalization has been credited by its proponents for the high economic growth recorded by the country in the 1990s and 2000s. And it has positive impact on the state of Odisha as can be visibly seen from various sectors. India’s GDP has increased thereafter and also the GSDP of state has increased many folds. The Gross State Domestic Product of Odisha for 2017-18 at current prices is estimated to be Rs 4,12,481 crore. This is 8.8% higher than the revised estimate for 2016-17. Economic reforms has vast impact on the economy of the country and it is also true for the states. Even the poor states like Odisha has great impact that can be seen visibly. As Odisha is on the path of development. One can see the development in every sector of the state .Being the agriculture, industry ,. infrastructure , health , education etc. Development in Agriculture: Direct Benefit Transfer (DBT) of seed input subsidy , the only of its kind in the country, is implemented in the State from Kharif 2016 to bring greater transparency and efficiency in the manual process. About 3.49 lakh beneficiaries are benefited and an amount of Rs 28.36 crore seed subsidy has been disbursed during Kharif 2016. With the signing of MoU with World Fish International Organisation, Odisha started new initiatives in fishery sector on capacity building for fishery Officers, carp Mola polyculture and reserviour fishery development in the State. Food Supplies and Consumer Welfare Department has planned to automate 14000 + fare price shops (FPS) in the state by March, 2017as the last mile connectivity of end to end computerization aimed at transforming TDPS operations. Development in Industry: Go-iPLUS, a GIS based industrial land use and infrastructure information system is launched to help the investors to select an area of land. The system provides detail information about the key attributes of existing industries operational in a particular cluster such as sector soft operation, products, capacity, employment and raw-material etc. “Invest Odisha” is the newly launched mobile App developed by the Department to provide all information for a new investor for doing business in Odisha. Infrastructure: Works Department, Odisha successfully set up Asset Management System with G.P. with application of e-nirman software and soil stabilization technique to monitor all the improvement and repair of road work scientifically. The pilot project on use of fly-ash pre-fab structures shall ensure reduced cost of construction of buildings. Sales tax is the largest component of the tax revenue of the state. Sales tax, levied on the sale of goods in the state is expected to generate Rs 15,840 crore in 2017-18. This is an increase of 16.3% from 2016-17. Rs 3,600 crore is expected to be generated through state excise duties. This is an increase of 20% over the estimates of 2016-17. In addition, revenue will be generated through taxes on goods and passengers, levy of duty on electricity, stamp duties, taxes on vehicles, etc. 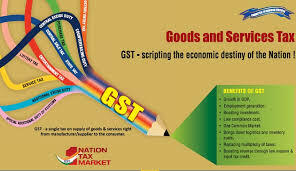 Upon the implementation of the Goods and Service Tax, the sales tax, along with other state taxes will be subsumed into State Goods and Services Tax (SGST). Government of India passed the act for the indirect taxex as many indirect taxes has been subsumed in the GST.The State Assembly unanimously passed a resolution ratifying the Constitution 122nd Amendment Bill, 2014 on GST on 1st September 2016. The State has actively participated in all GST Council meetings in order to present the views of the State in an effective manner on all issues concerning proposed laws, rules, processes and systems for GST. The State has to establish the legal framework through enactment of the GST laws by the Centre & the States, put in place a robust Information Technology based platform for administering the new tax, manage the change through training of the tax administrators & officials, familiarize the members of trade & industry with the processes of the new taxation system and sensitize the public about its effect. These are the challenges before the State to roll out GST next year. The model GST law has been drafted and discussed in GST Council. The GST Council has also decided the bands of tax rates for GST. It has constituted a Committee to study individual goods and feed them into the category of tax rates. Cross empowerment is being provided in the Acts so as to avoid dual authority over tax payers. The State authorities will be empowered to administer the CGST and IGST Act and so also the Central Authorities would be empowered to administer SGST Act. The calculation of revenue base of States and the formula for compensation on account of loss have been decided. The threshold limit for registration and the compounding limits have also been agreed upon. Consensus on these issues will pave the way for introduction of GST between July to September, 2017. A number of benefits are expected to accrue not only to the Central & State Government but also to the consumers, business & industry in the ensuing GST regime. Under the GST model, all the Central and State Government taxes will be merged into a single tax, which will reduce cascading or the double taxation effect. Odisha has estimated to generate Rs 9,500 crore through non-tax sources in 2017-18. This is a 7.7% growth from revised estimates of 2016-17. The government is estimated to generate Rs 6,630 crore from non-ferrous mining and metallurgical industries. which is an increase of 7.4% over 2016-17 (RE). Further, the government has estimated to generate Rs 489 crore through major irrigation, Rs 229 crore from minor irrigation, and Rs 119 crore through coal and ignite in 2017-18.